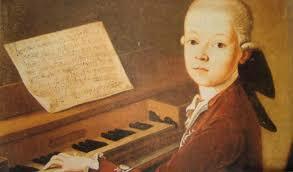 The fourteen-year-old Mozart didn’t see himself as being a music pirate, mind you. He was just doing the thing he so excelled at, with his musical genius and photographic memory, back in the spring of 1770. He and his father Leopold were in Rome, working their way through Italy for the month as the young Wolfgang performed and studied and learned. Their timing was perfect: Rome during Holy Week. 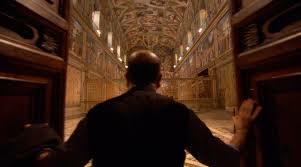 This was the only time and place you could hear Allegri’s famous “Miserere mei Deus” being sung. In the Vatican’s Sistine Chapel, to be more exact, as part of the exclusive Tenebrae service on Wednesday and Friday of Holy Week. It was a big tradition; since 1514, a total of twelve Misereres had been chanted/sung at this service. This twelfth one, a setting of Psalm 51, composed by Gregorio Allegri in the late 1630’s for Pope Urban VIII, had become the mainstay, far and away the most popular Miserere. To attend this service and hear this music was a big deal. 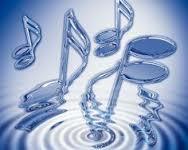 Visitors, musicians and travelers would arrange their schedules well in advance to be sure and catch a performance. But the teen Mozart was hungry for a challenge, and, well, you know Mozart. He was… spirited. Free-thinking. Not prone to doing exactly as he’d been instructed if he didn’t see the rationale behind it. So, as he and his father attended the Wednesday Tenebrae service, he listened to the incredible choral music, and after the performance, his brain set to work. Late into the night, he wrote it out from memory, note for note. And we’re talking twelve minutes of choral, contrapuntal music. There are two chorus parts, divided at times by two, to create four groups of singers. On top of that are four solo voices that create their own quartet voice. All this stuff going on, a cappella, and Mozart got it all. He went back on Friday night to give it a double check. All it needed was a few minor tweaks. I can’t offer Sensurround stereo listening, but pretend that’s what’s happening, shut your eyes, crank up the volume, and give this a listen. The first twenty seconds alone will just slay you. But let’s get back to Mozart. To his sitting there, in 1770, in the Sistine Chapel and hearing this. To the wonder the teen prodigy must have felt. The challenge rising up in him. The exact notes of the composition had been kept a secret for over 100 years, after all, like something out of a Grimm Brothers fairy tale. Time for the spell to be broken. PS: A website called Ancient Groove Music has a fascinating, in depth take on the stories surrounding Allegri’s Miserere and Mozart. If you want to dig deeper (and have the easy, cherished legend potentially stomped on) check it out HERE. This entry was posted in Classical Music and tagged Ancient Groove Music, Ed Newton-Rex, Felix Mendelssohn and Allegri's Miserere, Grove's Dictionary of Music and Musicians, Holy Week music in the Vatican’s Sistine Chape, Mozart the first music pirate, Music sun for Tenebrae in The Vatican, musical piracy by Mozart, San Francisco Symphony, San Francisco Symphony Men’s Chorus on November 15, 2016 by admin.